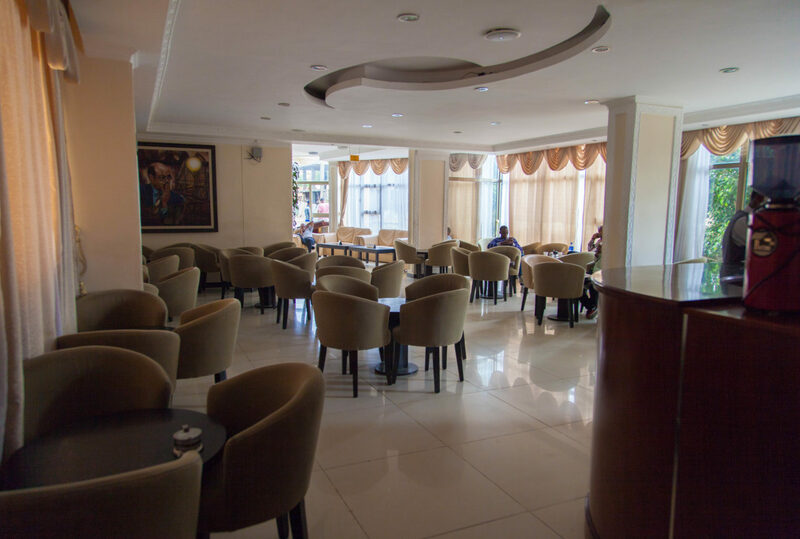 Axum’s Sabean Hotel, widely recognised as the city’s finest, is the perfect base from which to explore the ancient cultural and archaeological wonders so abundant here. A major trading centre from the fourth century BC until more than a millennium later, the city is a truly historic landmark. The Sabean International Hotel is very centrally located on the main street of what is by modern standards a very small town. For such a small conurbation the hotel itself is surprisingly large and modern-looking, and though accommodation is offered on a bed-and-breakfast basis there is a restaurant serving lunch and dinner; there is also a comfortable bar. The staff at Sabean International Hotel are very friendly and helpful. 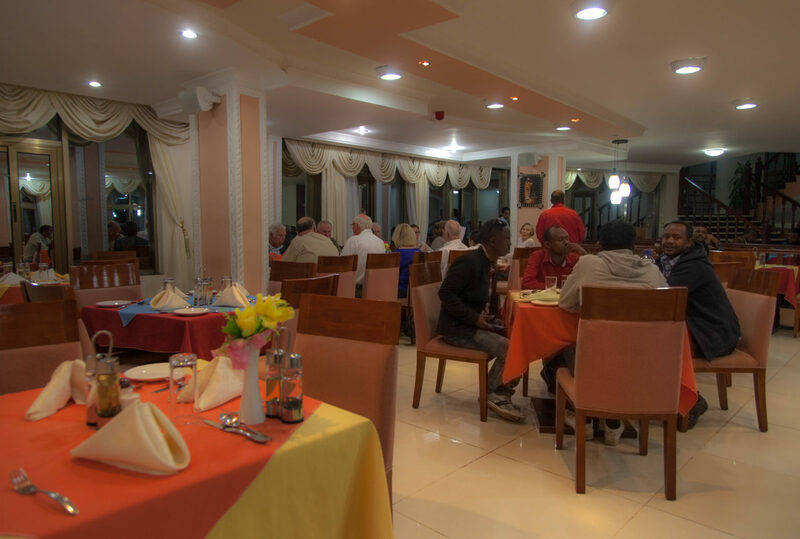 Though guests will not mistake the standards here for those of a luxury western hotel, the Sabean is generally regarded as the best available in the area, and because of its central location does offer the opportunity to venture out and sample even more authentic local cuisine and culture. 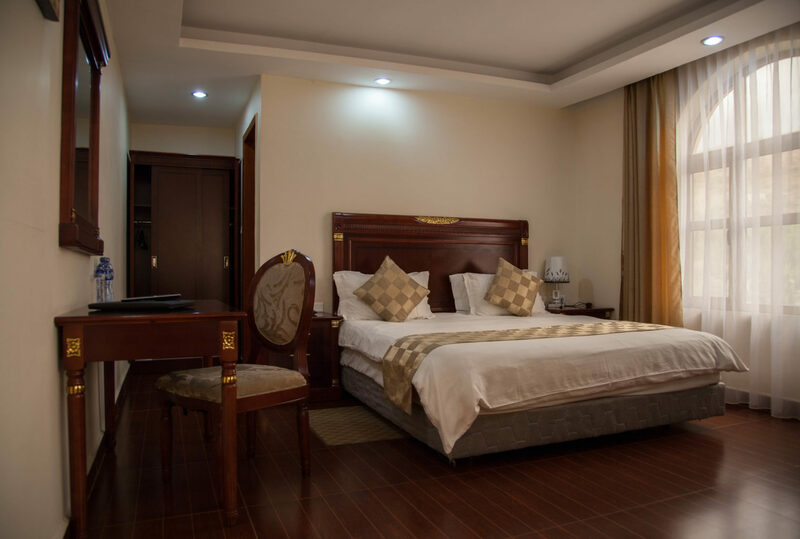 The hotel offers more than 40 rooms and suites: four suites, 28 rooms and 12 double rooms. 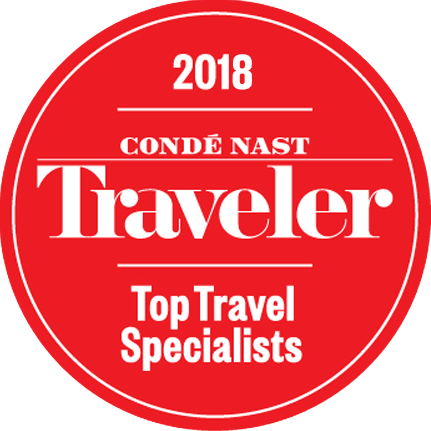 Each has en-suite facilities (though no bath), and though there is no air-conditioning, fans are available and there are satellite televisions throughout, plus Wi-Fi in the reception area. 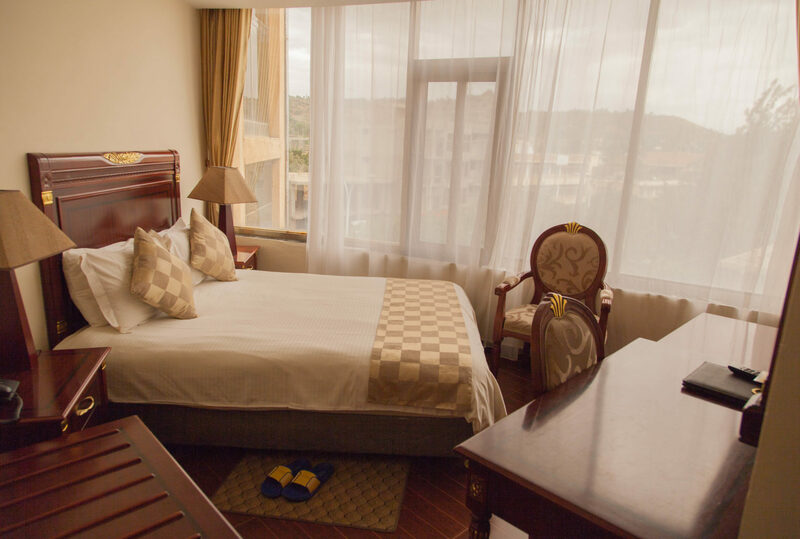 The rooms are comfortable and clean, their decor generally modern with a few light touches of local decoration and colour to remind guests of the region’s rich culture. Again, however, Axum’s fascinations are such that the hotel will only be used as a starting point, and time spent at the Sabean will likely be fairly minimal. It’s worth noting that there is a television in reception which is on much of the time and the noise carries to the rooms on that floor, so requesting a room elsewhere is to be recommended. 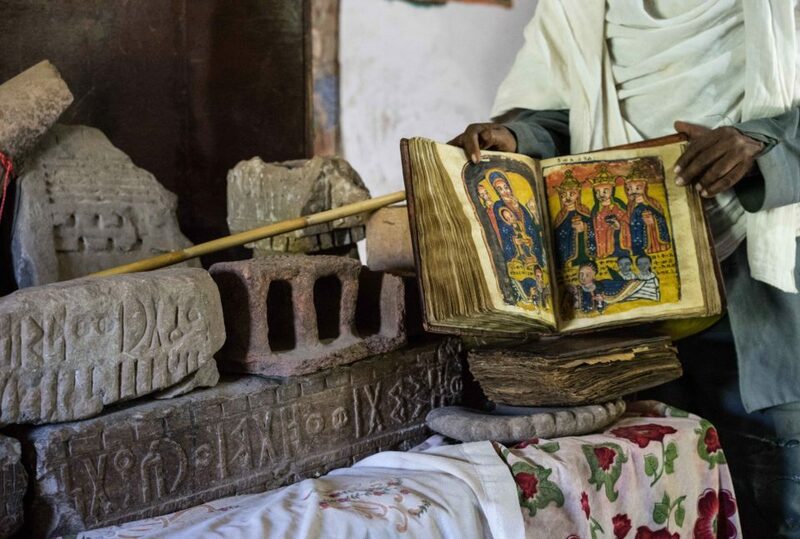 Axum rewards real attention, from its churches to the famous obelisks (a remarkable UNESCO World Heritage Centre) which are most people’s defining image of the town, and the Sabean Hotel is unquestionably the ideal place from which to venture out and explore the hundreds of years of history on display. 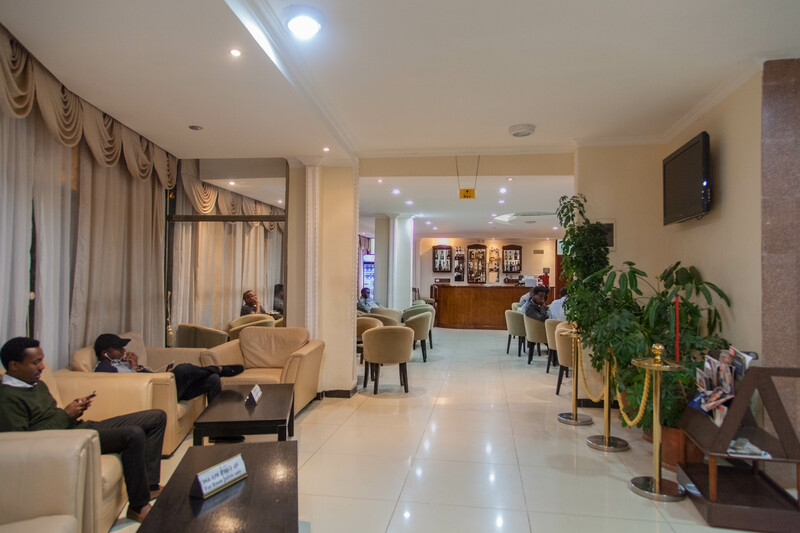 To find out more about Sabean International Hotel and to arrange your tailor-made trip, get in touch with us today.